Bobux, has been recognized on the international stage in 2015, after being presented the coveted Red Dot Award for Product Design in Essen, Germany. While the award ceremony was held in March of last year, the full list of winners and judge’s comments have recently been released, with Bobux’s XPLORER shoe the only footwear product to be included in the Children and Babies category. 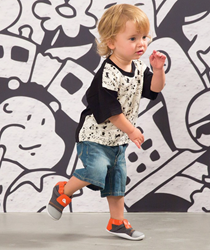 We wanted to develop a shoe that really aided children as they learn to walk, but also looked great and was the kind of footwear parents wanted to put their children in. 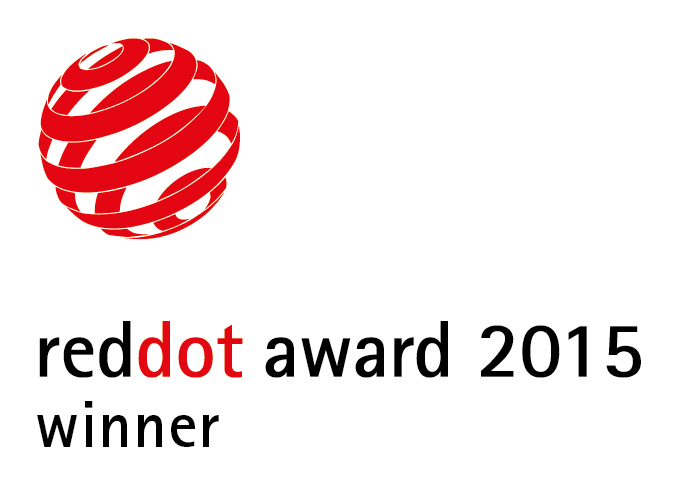 The Red Dot Awards have been presented since 1955, and receive over 15,000 submissions per year across 21 categories, making this an exceptional achievement for Auckland based Bobux according to the brand’s co-founder and managing director Chris Bennett. Bobux has customers worldwide, and already thousands of pairs of the XPLORER have been sold, with Bobux distributing to retailers across New Zealand, Australian, United Kingdom, USA, Italy, Belgium and France. Melboune-based podiatrist and Bobux brand Ambassador has over 15 years of industry experience and a wealth of experience. She reports that in early development, babies’ feet are rapidly growing. Not all bones are formed at birth. In fact, infants are born with only 22 bones in each foot. This number increases to 26 by age 5, the same number of bones we will have as an adult; however, skeletal bone maturity isn’t reached until approximately 13-15 years of age for females and 15-18 years of age for males. The first few years are crucial for proper foot development, as the bones in baby's feet are made of soft cartilage that gradually converts to bone over time. It is therefore essential that children’s feet are looked after from birth to ensure they are healthy for life. So what should you look for developmentally? By the time a child is 2 years old, their foot type/shape will become clear. At this point the child will have either a tapered, rounded, or square foot shape. Babies are born with a pad of fat in the arch area making their feet look flat. This is due to the fact that their foot and leg muscles aren’t developed enough to support their arches when they first begin to stand. Their arches will develop at around 2 -3 years but by 7 years you should see a normal arch, once muscles have developed. Children start to walk between 8-18 months with the average being 12-15 months. Most toddlers are flat footed and slightly turned in, have a classically broad based gait with a flexed (bent) knee and bowed legs. These positions will change as your child's strength improves and normal development of the lower limbs occur. And then finally straighten our permanently once adulthood is reached. Feet grow rapidly in the first year of a child's life reaching almost ½ their adult size. By 12 years of ages a child's foot is almost 90% of its adult size. Growth spurts or rapid phases of growth tend to happen between 8-12 years for girls and 10-14 years for boys. These ages tend to mark a rapid outgrowing of shoes, orthoses and socks and makes the child seem more awkward and clumsy as they grow into their feet (and body). Milestones are skills and tasks that most children can do within a certain age range. These are just a gauge; it's important to recognize that each child is unique and will develop at their own rate. When baby takes their first steps we can’t wait for the next moment when they put two and two together and walk unassisted for the first time. There is no manual for this and our first thoughts are to put shoes on their precious little feet to protect them from the great outdoors or just to assist them in walking, but the fact is - barefoot is best! As parents, we often worry too much about protecting our young from the elements by putting them in footwear too early, hindering their natural development. Did you know that one of the most important things for children’s feet is actually that they do not wear shoes? Going barefoot is best for children because little feet start life so incredibly soft and pliable. They need absolute flexibility to develop as Mother Nature intended. Tight fitting socks, rigid soles and materials that don't move with wriggles and stretches, can hamper healthy development. Growing feet need plenty of freedom for muscles to strengthen, toes to learn to grip and spread and for bones to form in a natural position. The only way this can happen is to be barefoot the majority of the time, especially in the first years of life. An actual fact is that 70% of our brain’s information on how to walk, run, and jump comes from the nerves on the soles of our babies feet; so the more they can feel the ground, the greater the baby’s understanding of their surrounding environment. Along the way, natural movement will happen. Poorly-fitted shoes can actually hinder a child’s normal growth and foot development. The bones in a child’s foot are very soft and flexible, and don’t fully develop until about age 5. For this reason pediatric orthopedists recommend children go barefoot as much as possible for healthy foot development. The problem is, these precious little toes need to be protected! Bobux is the answer! Bobux soft sole and Xplorer shoes mimic the benefits of bare feet, and provide the protection crawlers and early walkers need! Here’s a crazy fact. 70% of our brain’s information on how to walk, run and jump comes from the nerves on the soles of our feet. So it’s critical that, particularly in the early stages of walking, babies can feel the ground beneath them. You want to nurture that learning as much as possible! -Made of 100% natural leather, which allows the feet to breath. -Quality leather will absorb sweat and keep babies feet cooler and drier during play. -The right materials will reduce discomfort and (mercifully!) smelly feet. The Non-slip Suede Leather soles will help them stay steady on their feet and will not restrict movement or hinder their development. -The ankle elastic system ensures Bobux shoes go on easily and they STAY ON! -There are no fasteners for babies to undo or that can come undone. -The colorful fun designs face the baby and will stimulate their little minds. -Leathers are dyed with water-based dyes and safety tested to ensure they are free of harmful chemicals. Purchasing shoes with flexible soles that won't restrict movement is critical for babies through age 5.Bobux shoes are recommended by pediatricians.